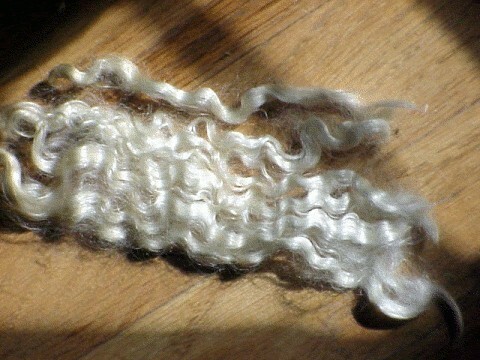 These are the locks of Roz our champian angora buck. The brilliant luster and excellent character speak for themselves. This is another excellent crimp type for fiber artists. Please excuse the poor quality image displayed here. The scanner squashed the locks ;) . 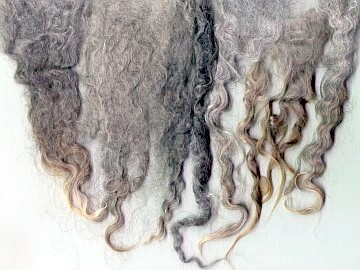 It is presented here to illustrate the spectrum of natural gray mohair locks in our herd.